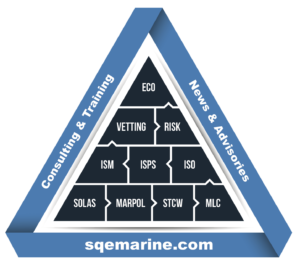 SQE Group is a leading provider of maritime QHSE solutions. In order to better respond to market needs we are constantly interested in dynamic individuals to join our team. The company offers a modern and dynamic working environment, continual education, very attractive employment conditions and salary in accordance with the position and the applicant’s knowledge and experience. We are currently looking for an executive for our Sales department. Previous experience in shipping will be an asset. The post include the management of all functions of tender related activities (pre sales, meeting sales and after sales). The successful candidate should possess good communication, sales and marketing management skills and ability to work effectively as a team member. Full Competence in the use of Microsoft Office Word, Excel and Outlook. Knowledge of marine legislation, its implementation and interactions. In case you are interested to join our team please forward full CV and short para explaining your interest to: hr [at] sqemarine [dot] com. We are currently looking for an administration assistant to join our team. Previous experience in shipping will be an asset. The successful candidate should possess good organization, communication and writing skills and ability to work effectively as a team member. In case you are interested to join our team please forward full CV and cover letter explaining your interest to hr [at] SQEmarine [dot] com.